Hooray its that time of year again. Christmas can be such an exciting time but figuring out what to buy everyone can become a little bit of a nightmare. I've created a series of gift guides to help you choose the right gifts for your loved ones. I'm starting off with the females. I've got some beautiful green goodies lined up so stay tuned. A beautifully packaged gift set for the ladies in your life this Christmas. Inside you'll receive a body wash + body lotion both 100ml. 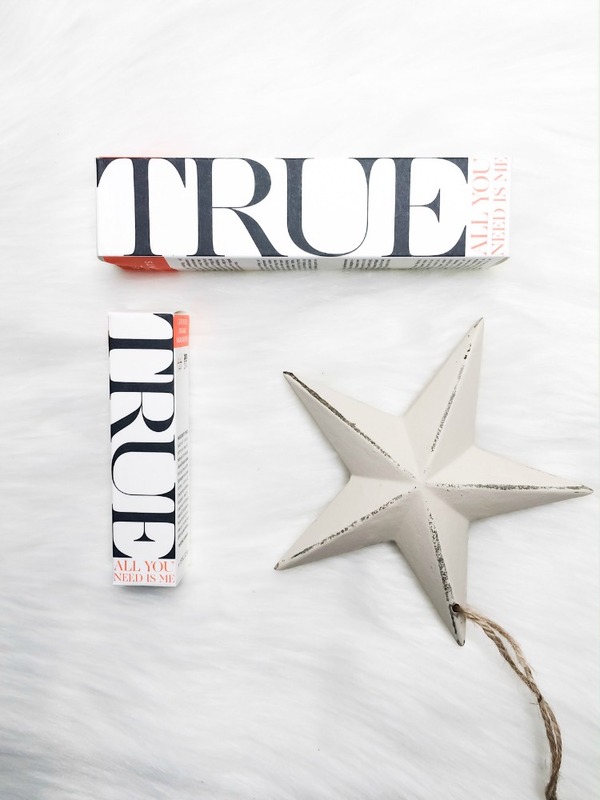 With beautiful oils such as tangerine and cypress it's no wonder this product smells so stunning. It contains nourishing shea butter and jojoba. The scent is very uplifting and perfect for fall. This gorgeous gift set is ideal for hardworking ladies that need to take a little extra care of their hands. 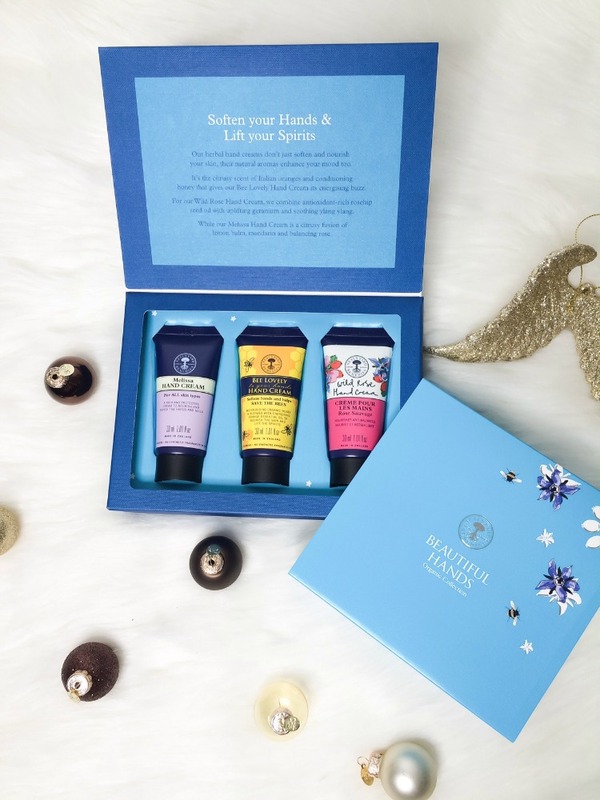 Treat them to this beautiful gift set which includes 3 beautiful hand creams to help nourish and protect their hands. It includes bee lovely hand cream, Melissa hand cream and wild rose hand cream all in 30ml tubes. They all contain wonderful herbal ingredients to help nourish hands and essential oils that will leave them sniffing their hands all day! Support British bees with gorgeous gifts hand made in small batch by a dedicated bee keeper. 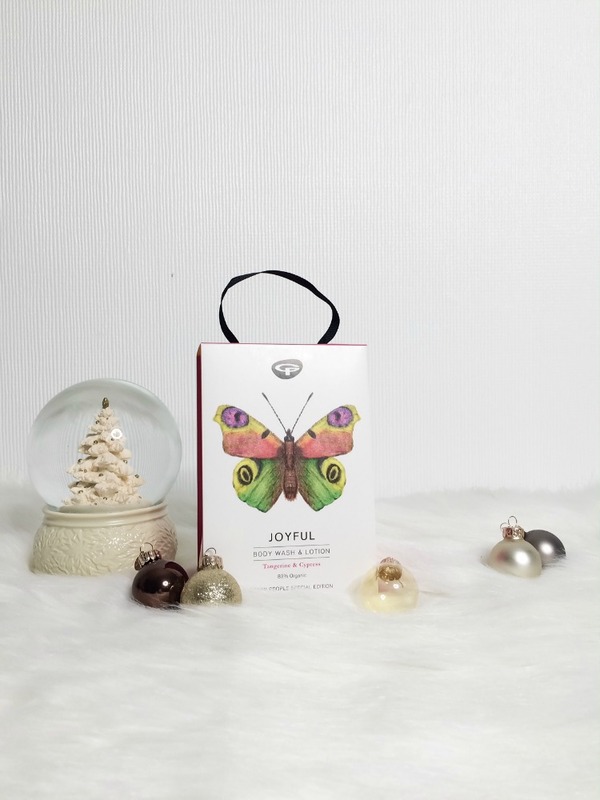 Carly owner of beeutiful has created some gorgeous gift boxes ideal for Christmas gifts. Featured here is the black gift box which includes, a foot balm, honey soap, b-balm and honey lip balm. Then you have the luxe duo which features b-rose facial balm and b-rose frankincense and rose body balm. With toning, anti ageing and cell regenerating properties its perfect for mothers, friends, aunt's etc. A super versatile cream for the whole family. I've included this in every gift guide because it can be used on mum's, dad's, baby's you name em! 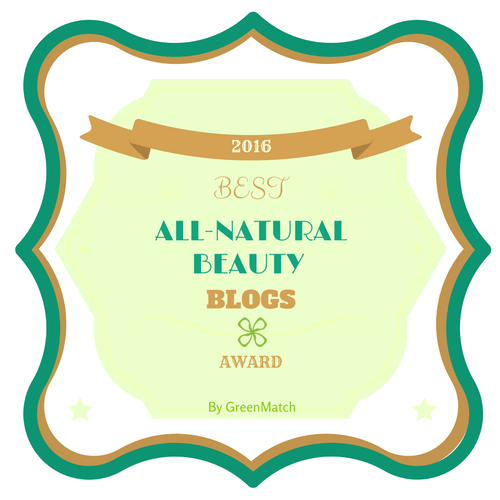 With 95% organic ingredients and 100% natural this is the ideal introduction to green beauty gift you can buy everyone. It works on absolutely everything, dry skin, sore bottoms, eczema, mild sunburn, chapped lips or even as a hair mask the possibilities are endless. You can purchase the full size 50ml or travel size of 15ml. A gorgeous gift bag full of anti ageing products. These are all vegan. 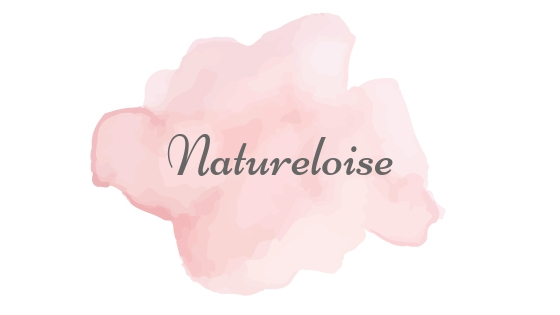 Natural + organic. Hand made. And 100% palm oil free. 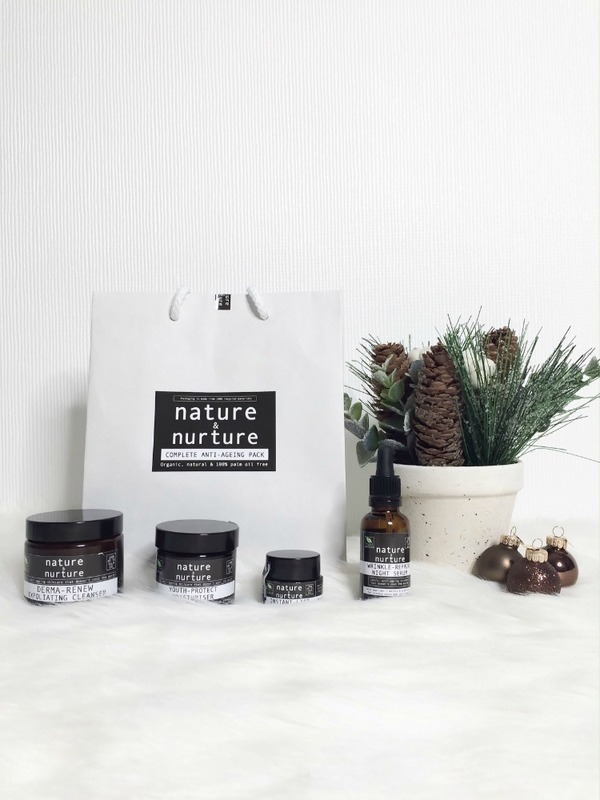 The gift set features all 4 products from nature + nurture. This includes wrinkle repair night serum, youth protect moisturiser, instant lift eye gel and derma renew exfoliating cleanser. This is the perfect set for mums! You could purchase products individually for a smaller gift idea/stocking filler. The gift set is currently retailing at £62.00 with 20% off. One for the makeup lovers. Or an early christmas gift for yourself? The ideal makeup for the party season. This gift box includes, ZAO makeup cream eye shadow shade 254 golden bronze, Couleur caramel liquid eye liner shade organic black and Couleur caramel lipstick shade 223 true red. I can't stop wearing the lipstick it's deffinitley a must for the ladies who love red lipstick! They also do a larger makeup gift set that includes more makeup if you're really going to spoil someone (or yourself). 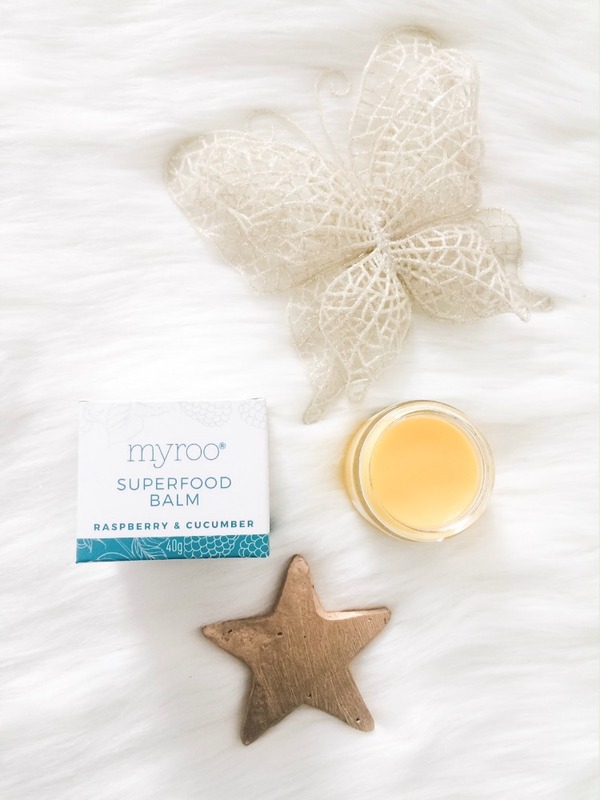 This superfood balm is a luxe gift for those with sensitive allergen prone skin. Its free from gluten and nuts. Contains natural and organic ingredients. All of myroo products are also availble fragrenced free for those with extra sensitive allergen prone skin. This is a versitile product that can be used for almost anything, it really is the perfect gift. Ziyanda is a natural fair trade brand selling beautiful nourishing products for your hair and body. Feature here is the Kalahari desert salt & coffee body scrub, rooibos + rosehip body oil and kalahari melon + marula face oil. These gorgeous products are jam packed with nourishing ingredients and retail at a really great price. They would be ideal for someone that wants to be introduced to natural beauty. 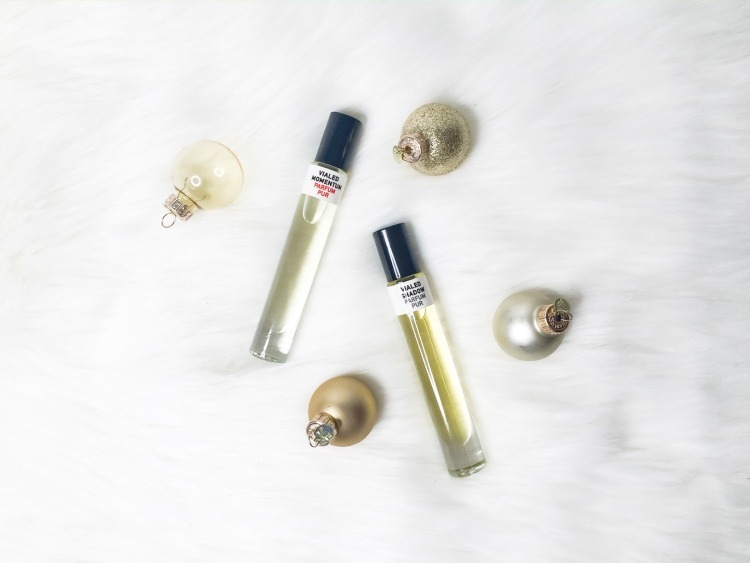 Parfum, the perfect luxe gift for him or her. What I love about call of the vialed is that all scents are unisex. You can purchase the full size bottle if you know what scent you're after or you can purchase the set of mini's which will give you an insight to all the scents also these would make great stocking fillers! They're ideal for introducing someone to natural parfum. Featured in this gift guide I have chosen. MOMENTUM: A gorgeous woody citrus scent. Both myself and curtis love this but I reach for it the most because I'm a huge fan of fruity scents. ASPECTS: Citrus, energetic, light, sharo, sorrel-like, sunny, zesty. AROMAPSYCHOLOGY: Awakening, concentration, courage, mental willpower, recharging. SHADOW:A spicy musky scent. I tend to make Curtis wear this more as I feel it's slightly more masculine and it really suits him. ASPECTS: Animalic, cunning, deep, fiery, inviting, musky, woodsy, shady. AROMAPSYCHOLOGY: Duality, enticement, intensity, mischeif,temporary extraversion. Ideal for him and her. A gorgeous bubble bath containing rose and lavender to help you enjoy some bath time relaxation. Pair it with the lavender and jasmine bath oil and you'll have to watch you don't fall asleep in there. The ideal gift for someone who deserves extra special relaxation time. Also featured is 100 acres winter scented candle this is the perfect gift to anyones home it smells absolutely gorgeous and has a burn time of 40 hours. *Please note that these products have been sent to me for featuring in this christmas gift guide. Great gift guide with some new to me brands! Love the sound of the perfumes.